of modern engines and other applications. These customized molecules provide higher levels of protection and performance than conventional oils. But the synthetic base oil is only half the story. Full synthetic motor oil is better than regular oil under extreme conditions. Full synthetic motor oils have a balanced formulation that outperforms conventional motor oil in providing more protection with less drag. Under cold start up condition synthetic motor oil is better than regular oil in that it can be engineered to be thinner, thereby reaching the extremities in a shorter period of time. This means less cold-scuff and therefore reduced engine wear. Being thinner synthetic lubricants also have less power sapping drag, which in turn translates into improved fuel consumption and reduced emissions, being better for the car. Under high temperatures high quality full synthetic engine oil is very stable and oxidises less than crude based mineral oil. This means that oil change intervals can be extended thereby closing the price deficit to regular oils. Synthetic motor oil is better than regular oil at protecting the environment. Because oil change intervals are extended there’s less used motor oil to be disposed of. This means less chance of top soil contamination as well as less costs allocated to disposing of and recycling the used oil. Synthetic motor oil is better than regular oil for the environment as it’s sustainable and doesn’t rely on the sentiment of a few, often unstable governments, towards oil supply. Warring nations often destroy oil wells, creating global air-pollution. 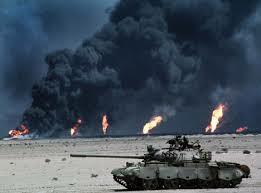 And, even without the dangers of war, oil spillage poses a major danger to the environment. With the ever increasing crude oil prices the only negative when determining whether synthetic motor oil is better than regular oil, price, is rapidly fading away. High quality synthetic oil manufacturers such as Habot Oil, are able to supply price efficient solutions for most applications. Give the professionals at Habot Oil a call for the best lubrication solution for your application. Labels: synthetic motor oil is better than regular oil.